Product prices and availability are accurate as of 2019-04-26 12:05:22 UTC and are subject to change. Any price and availability information displayed on http://www.amazon.com/ at the time of purchase will apply to the purchase of this product. 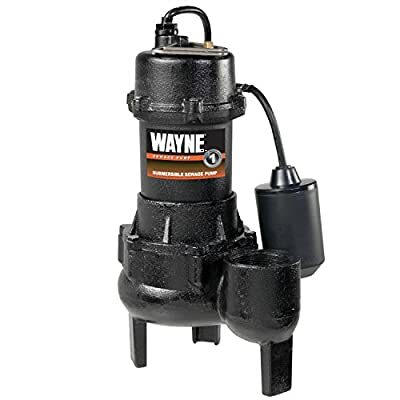 The Wayne RPP50 1/2-horsepower cast iron sewage pump with tether switch pumps up to 4680-gallon per hour with 5-feet of lift. 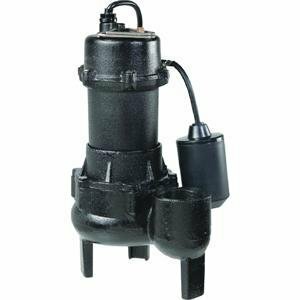 This pump is manufactured with a durable cast iron motor and pump housing with a replaceable piggyback tether switch for automatic operation. The RPP50 is capable of passing 2-inch solids. This pump is ideal for basement or below grade installations.